One first stop is at one of the most beautiful cities in England; Bath. 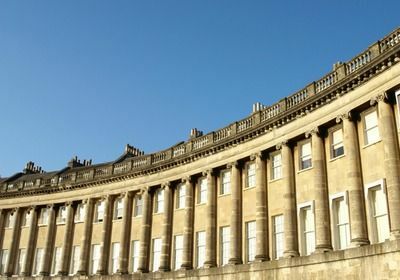 Known for its elegant living, Bath features sweeping terraces of picturesque Georgian townhouses looking out over the green expanse of its parks and squares. It was very fashionable in the 18th century as High Society would flock here as an alternative to London. Jane Austen (Pride and Prejudice) lived here briefly and her satirical observations of Georgian society are still popular today. 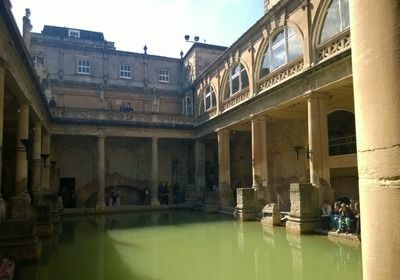 Explore the fascinating Roman Baths powered by the only natural geothermal spring in the country. Marvel at Roman engineering, they even had under floor heating! A variety of excellent boutique shops, pubs and tea houses make Bath a delightful place to while away a few relaxing hours. Bath was heavily bombed during the Baedeker raids of 1942. 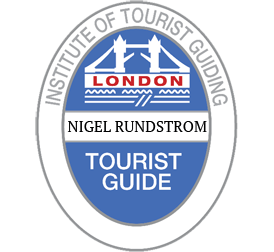 In retaliation for the British bombing of Lubeck, the Luftwaffe attacked culturally important cities researched and selected from the Baedeker Tourist Guide to Britain. The world famous and mysterious stone circle. Construction started as long as 5,000 years ago in the Neolithic Age with various structures erected over succeeding centuries. We will go through the many theories and mysteries about Stonehenge; their true purpose, the reason for their specific location etc. Stonehenge certainly offers one of the most compelling glimpses into the life and ingenuity of ancient man anywhere in the world. As well as the stones circle itself, the visitor centre has been recently revamped and offers a fascinating exhibition providing a more in depth perspective of this truly amazing site. Some researchers believe Elvis Presley’s family was of Welsh descent with the name Presley having evolved from the Preseli mountains area in West Wales. The very same Preseli mountains, about 120 miles west of Stonehenge, are where the smaller Bluestones were quarried from thousands of years ago. This is a long tour and is more popular in the summer with longer daylight. Alternatively, Stonehenge (7 hours) can be taken as an individual tour.